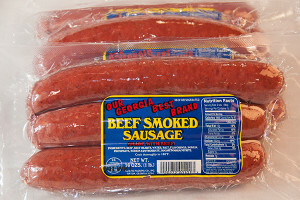 A sausage using only the best pieces of beef blended with our patented spice mixture, smoked to perfection. Perfect for grilling. 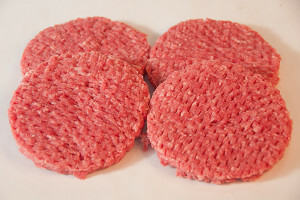 Made with tested beef shoulder clods and beef chunks and formed in to patties and quick frozen. 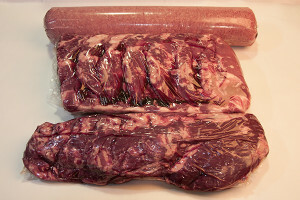 They are ready to cook. 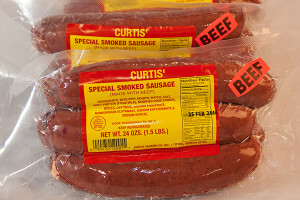 We purchase our beef from large processing plants (National, Tyson, and Cargill) that uses ALL FOOD SAFETY guidelines that are available.